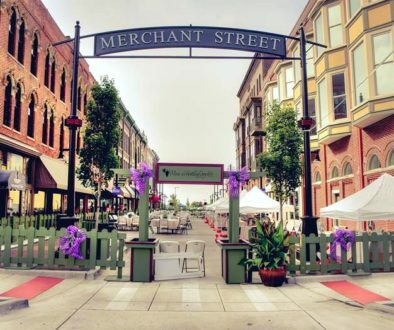 It’s time to party, Decatur! The Blues in Central Park season is around the corner, and there’s no better way to celebrate summer than with your friends at Central Park, listening to some great blues bands. This seasons’s lineup promises to be fantastic, so mark your calendar for the following Thursday evenings: June 16, July 21, and August 18. June’s season opener is Jim Skinner and the Wall to Wall Blues Band. Though Skinner is an experienced bluesman who cites the influences of Sam Cook, Bobby “Blue” Bland and Chicago-based Magic Sam, he insists that the blues “is more than sad songs.” Skinner’s style of blues is “rhythmic and danceable” and, above all, fun. Skinner’s early musical experiences were in church, where he regularly sang gospel music. While a student at Southern Illinois University in Carbondale, Skinner was singing in his apartment one day when a classmate came to his door. After standing outside and listening for awhile, the classmate came inside and proceeded to convince Skinner to join his band. As they say, the rest is history — Skinner has been singing the blues ever since. 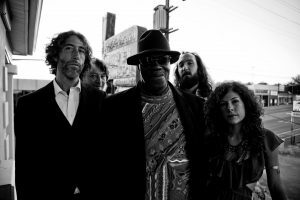 Based in Nashville, Skinner’s current band has been together for more than three years, long enough to establish the cohesive chemistry of a first-rate blues act. The six-piece group is comprised of Skinner on vocals, with a guitarist, bassist, drummer, keyboardist and mouth harp player. Their repertoire is a mixture of covers and originals, with several fun and lively “story songs.” When asked to describe his music, Skinner said only that he likes to “keep it moving” and make it fun. There’s no doubt his blues band will do exactly that. 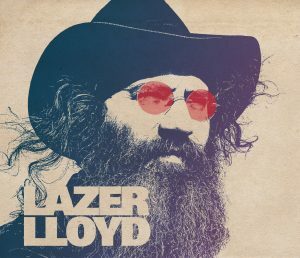 On July 21, Lazer Lloyd and his trio take the Central Park stage. Lloyd is a singer/songwriter/guitarist and international recording artist whose influences range from B.B. King and Stevie Ray Vaughn to Jeff Beck and jazz guitarist Wes Montgomery. Lloyd grew up listening to his dad’s B.B. King recordings, and eventually attended Skidmore College as a music major. Someone suggested that he check out the blues scene in Israel, and it didn’t take Lloyd long to leap headlong into the blues world. 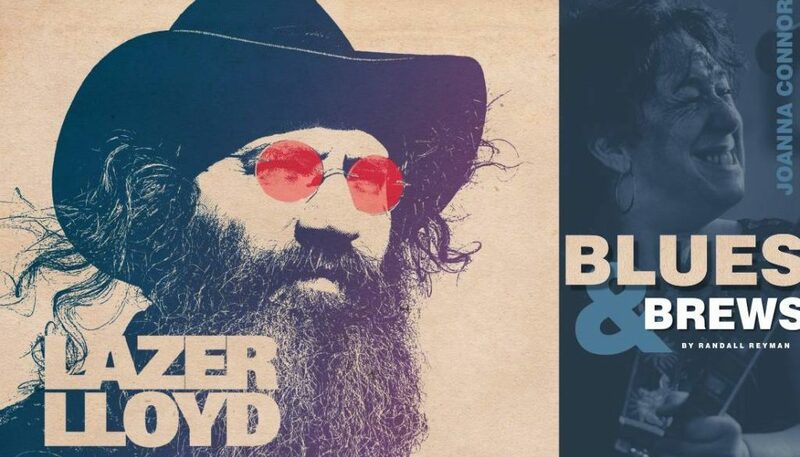 Now living in Israel with his wife and children, Lloyd enjoys a busy touring schedule for half of the year, and spends the remaining months performing several times a week at blues venues near his home base. A blues scene in Israel took me by surprise, although I suppose it shouldn’t have. Music is truly a universal language, and blues music seems to speak in very personal ways to people around the world. The season finale on August 18 features Chicago blues artist Joanna Connor. Connor describes her musical style as very “guitar-driven,” drawing equally from the traditions of blues, rock and R&B. Her influences are very diverse, ranging from rocker Led Zepplin and jazz bassist Jaco Pastorius, to the blues traditions of Robert Johnson and Buddy Guy. Connor arrived in Chicago in 1985, and people soon recognized her skills as a singer/guitarist. A weekly gig at Chicago blues venue Kingston Mines launched her career, and seventeen years of touring followed. When she finally came off the road again, Connor found herself back in Chicago — this time to stay. 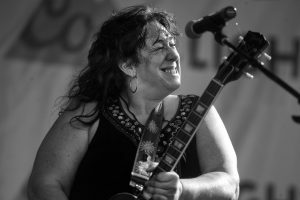 Since 2005, she’s played regularly four nights a week at Kingston Mines and the House of Blues, where she’s often onsite from 7:30 p.m. until 4:30 a.m.
A seasoned and truly talented blues player, Connor looks forward to bringing her four-piece band to the Central Park stage and entertaining blues fans with her extensive repertoire of covers and originals. 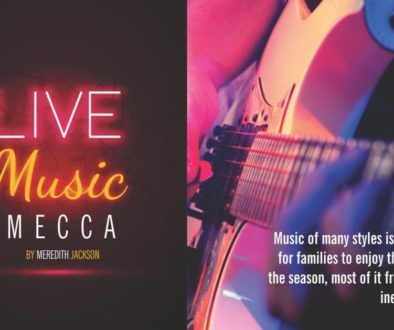 The Blues in the Park concerts take place in downtown Decatur’s Central Park, and run from 7 to 10 p.m., with food and drink vendors opening at 6 p.m. Enjoy a selection of ice cold domestic and imported craft beers and your favorite drafts on tap. Meet the bands and listen to previews of their music here. Blues fan Randall Reyman is a frequent contributor to Decatur Magazine. 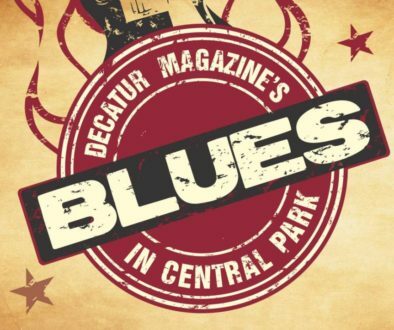 For the Decatur Magazine Blues in Central Park 2016 lineup and more info, click here. This article originally appeared in the June/July 2016 issue of Decatur Magazine.